TRH Stimulation- The One Test that Even your Holistic Doctor Doesn’t Do. Mainstream medical testing for thyroid function is quite limited and consists of a simple blood draw to measure levels of TSH- Thyroid Stimulating Hormone and occasionally levels of T4. It is unfortunately common for people suffering from extreme fatigue, unexplained weight gain, depression, frequent infections, hair loss, dry skin and constipation to have a TSH test fall within the “normal” range while they are sick and suffering. Patients are often offered anti-depressants and told to take a vacation while the reality is they have undiagnosed low thyroid and need treatment! 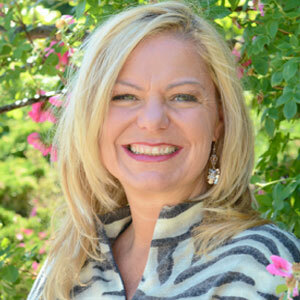 Doctors practicing holistic and functional medicine will sometimes run more comprehensive testing that may include TSH but also check levels of thyroid hormones free and total T3, free and total T4, antibodies to thyroid tissues-TSI, TPO and TGB, as well as Reverse T3 which gives an indication of how the body is activating thyroid hormone and inflammation levels. This type of testing is much better and will catch a greater number of low thyroid cases than TSH alone. However, even with these tests, there will still be a large percentage of patients that look “normal” and fall within lab ranges when in reality they have a low thyroid and are in need of treatment. Additionally many patients who are diagnosed don’t get better with treatment. Either the dose is off or physicians are prescribing T4 only when combinations of T4 and T3 may be needed. The TRH-the one test you should not go without. The TRH stimulation test is by far the best way to not only diagnose thyroid conditions but also monitor treatment to make sure the most effective dose and type of medication is being used. Mainstream medical doctors don’t use the TRH and the majority of holistic doctors don’t either. I brought this test back into use 20 years ago and have seen thousands of people benefit from it. At one time, the TRH was the preferred method of testing used routinely by doctors. Cheaper and easier methods replaced the TRH, which became virtually extinct. Coincidentally (or not), huge numbers of patients began complaining of unexplainable symptoms while the new thyroid test showed levels were normal. Luckily there were a few old time doctors left and one in particular who taught the TRH method to me. After finding a lab to work on creating the tools needed to perform the test, I began using it with incredible results. Your health is worth more effort. The TRH test requires special equipment and training, advanced knowledge of thyroid function, 25 minutes of time and is more expensive to perform. These are the main reasons it is no longer in widespread use. I believe, as do my patients, the TRH is well worth the extra time, effort and expense because its accuracy is unparalleled. 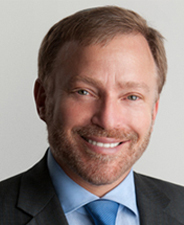 It is an integral part of my diagnostic method as well as following patient progress. The TRH is a challenge test similar to a cardiac stress test or a glucose tolerance test. The point is to see how the body reacts in real time when it’s confronted with stimulus-in this case Thyrotropin Releasing Hormone-TRH for short. The first step is to do a simple blood draw to check levels of TSH along with all of the other markers listed above like T3 and antibody levels. 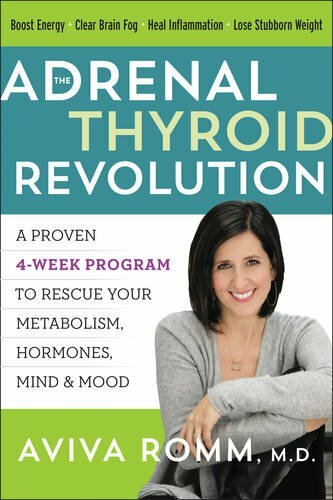 Thyroid Stimulating Hormone is released by the brain in direct proportion to the way the thyroid is working. 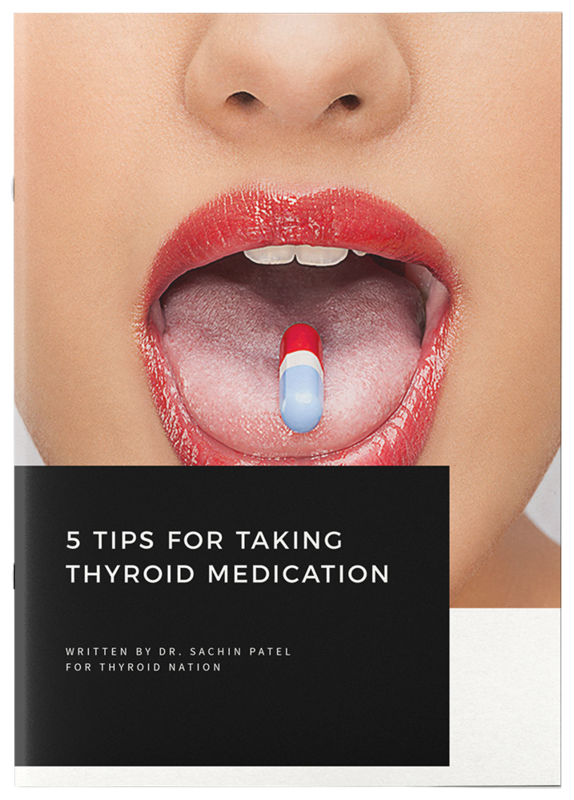 If the thyroid is working at a low level, a lot of TSH will be released to give the thyroid a push. High TSH normally corresponds to low thyroid function. This is the cornerstone of mainstream medical’s diagnostic criteria. The second step of the TRH is to inject the patient with Thyrotropin Releasing Hormone which stimulates an area of the brain called the pituitary to read the way the thyroid is working in the body at that moment. In cases of low thyroid, even if the TSH level in the blood is normal, the pituitary will store up a large amount of TSH. Upon stimulation, it will release its contents into the bloodstream creating a spike in the TSH level that is easily detected. The two TSH levels are then compared. Problems arise with the standard method because there are many conditions that cause TSH to remain low, masking the fact that thyroid function is inadequate to keep the body running smoothly. Thyroid hormone is the driving force behind energy production and metabolism so deficiencies create widespread complications that can manifest in any and every area of the body. Another major problem with routine testing is the inadequacy and unreliability of lab ranges. There’s a lot of controversy surrounding lab testing when it comes to the thyroid. Ranges keep changing, are often set too high and miss a large percentage of cases that are actually in need of intervention. To make matters worse, ranges don’t take into consideration the personal nature of medicine. Each individual person has their own unique make-up and needs. A lab range that works for 100 people may not work for the next person that comes in the door. Modern medicine fails to see patients as unique individuals with very specific and particular needs. The TRH is the most effective way to pick up on cases of low thyroid-sometimes years before the routine testing will be able to see it. There are many people out there, maybe reading this now who have not felt right for a long time and have been told by conventional testing that they are fine. It’s outrageous. I am proud to offer TRH testing. Clinically it has allowed me to help thousands of patients missed by routine lab results that otherwise would be needlessly suffering. The TRH, in combination with a full thyroid panel, casts the widest net possible to uncover the truth, even in the face of conditions that mask low thyroid function. It allows for very precise dosing of medications and has given so many the ability to regain their health and their lives. Two new studies prove the use of the TRH test for use in patients with thyroid symptoms. Our center has been offering this important test since 1997! So how do we get this test done, especially if we do not live in your area? Yeah, please tell us how to get this test! I’d like input on whether this test would be useful for someone who has no thyroid gland due to a congenital malformation. I’ve been on thyroid supplementation of various kinds for 67 years and Nature-throid for the last 14 of those 67 years. Now on 65 mg. Nature-throid 2x/day. My TSH is .004 when my Free T3 is mid-range and T4 is at bottom of the range. If my T3 and T4 are anywhere in range, my TSH is always below .01. I have low energy and stay around 10-15 lbs overweight despite eating a clean, low-carb diet. I have experienced atrial fibrillation when I’ve taken higher doses of Nature-throid. 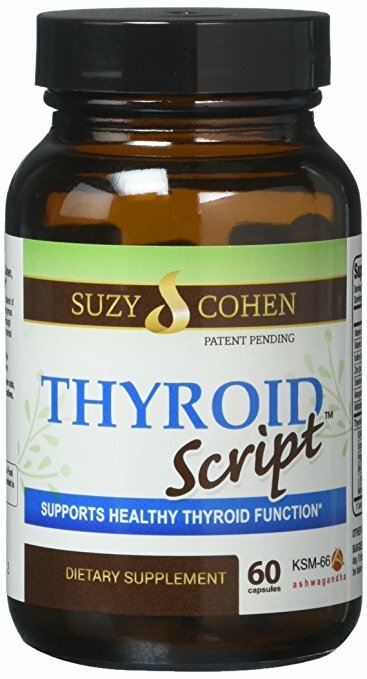 Would the TRH test help determine my optimal thyroid dose? I use to get the TRH every time my thyroid was tested, even in Europe. I came back here and no one wants to do it. That is the only way my Hashimoto’s thyroidism was caught. Luckily, I had a doctor who had been a research scientist who knew how to look at tests and evaluate them. He didn’t just look at scales. He looked at all the tests as a whole. Finally, after various doctors told me nothing was wrong, I convinced an endocrinologist to do the test I was sent for. I needed 125 mcg of Synthroid and had toxic levels of prolactin. Thank God for my internist. Now I am suspicious of not being able to get it anymore. I don’t trust any other test. how do I have this test done? I have not been feeling right for a few years now. A pituitary adenoma was found in 2013. I was sent to an Endocrinologist. All tests to check if it was secreting came back negative. I have been following up every year on this (bloodwork, urine, field vision tests etc.) In the year prior to diagnosis (2012 AT 42 YEARS OLD) I started to have irregular periods, some weight gain but manageable. Followed up with Gynecologist. Bloodwork showed peri menopause. By 44 years old full menopause (last cycle July 2014). The weight gain has been unreal. Aprox 45 – 50 lbs. I just don’t feel well. Doctors keep telling me that its part of aging and menopause. I just turned 47! I do not lead a sedentary lifestyle. I have 21 young kids, work full time and still work out when I can. All of the tests that have been done Tsh. Prolactin, T4, T3, free T4, Cortisol and others. Fsh and Lh confirmed menopause in 2014. It’s worth mentioning, I have never in my life had a weight problem or struggled with weight. I am fatigued, have bouts of anxiety, seemto struggle at time with what I think is depression (I’m not sure – I’ve never had depression issues) I just don’t feel like myself and haven’t for a few years. I just saw a doctor who ordered TRH in addition to other tests. I came upon this site while trying to educate myself. However, the TRH test I had was a blood test. They drew blood first thing in morning ( I did fast) and it was drawn into a special tube with an additive. I was told it will take over 2 weeks to come back. My concern…. the description of this test in the article is not what I experienced… There was no injection of any kind. It was done in a lab. Honestly, it makes sense now. The people in the lab did not at all seem familiar with the test. In fact, the special tube with the additive was not even in supply. I had to go back a different day. They had to order it. I am wondering now if it was done properly…?? 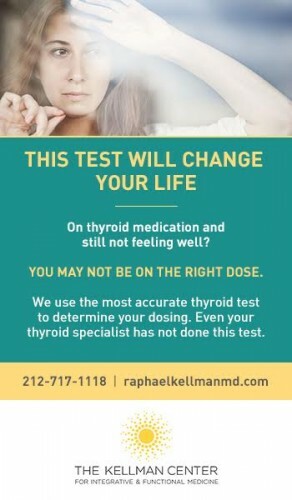 I have no thyroid, how would this test benefit me and where can i get this test done in Canada? Congratulations for your blog! I have done the test. My TSH is 1.87 and after given TRH it became 14,96. My “number” came within range so they won’t change my meds even though I do t feel any better. Where can I get this test done. Pls help cuz I don’t know what else to do! !